In 1929, Eero enrolled in a one year sculpture programme in Paris, just before joining the architecture programme in Yale. After a prestigious academic life, Eero returned to Michigan, in 1934, to teach at the Cranbrook Academy of Art, work on furniture designs, and practice architecture with his father. In Cranbrook Eero met Charles Eames, both being committed to research new materials and processes, they quickly became great friends and collaborated on several projects. The most notable collaboration of their partnership was the groundbreaking collection of moulded plywood chairs for the MoMA – sponsored 1940 Organic Design in Home Furnishings competition. This collection was awarded with the first prize in every category of the competition and catapulted the young duo to the forefront of the American modern furniture movement. While at Cranbrook, Saarinen also became close to Florence Schust Knoll, whom was by then a protégée of his father. Orphan, Florence was treated by the Saarinen family as one of them and developed a brother-and-sister-like relationship with Eero. Later, Florence considered that Eero was her most honest and, often, harshest critic. 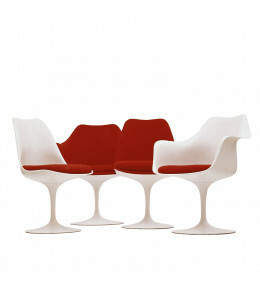 Eero Saarinen is considered one of the greatest designers and architects of his time. His outstanding projects included the Dulles International Airport in Washington DC, the Gateway Arch in St. Louis, Missouri, the TWA terminal at the Kennedy International Airport, and the CBS headquarters in New York. 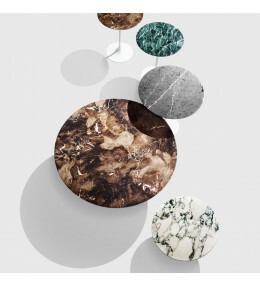 Eero also collaborated on various furniture projects with both Vitra and Knoll Furniture. 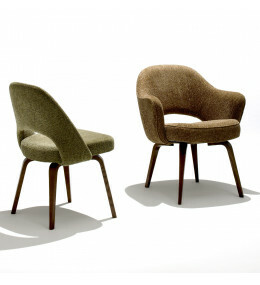 Saarinen Chair is a wooden legged conference seat and is great for informal meeting areas. 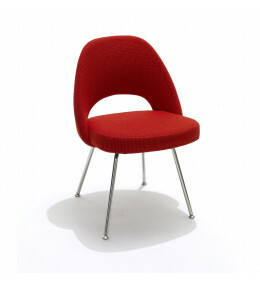 Saarinen Chairs, an executive seat created with a steel rod base and polished chrome. 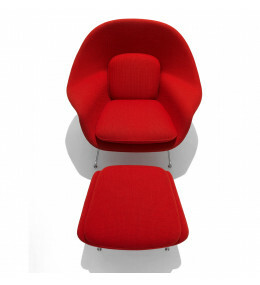 Womb Modern Armchair and Pouf that perfectly facilitates a relaxed sitting posture.